New video/article: 10 tips and tricks to improve your FLIP Fluids workflow in Blender! Are you frustrated with the current Blender fluid simulator? Are you tired of spending countless hours baking only to find that your simulation still just doesn't look real? Do you love working in Blender but find that you have to use other software when you need a realistic fluid effect? NOT ANYMORE! There is a solution, and it is FLIP Fluids! FLIP Fluids is a powerful liquid simulation addon that gives you the ability to create high quality cinematic fluid effects all within Blender! 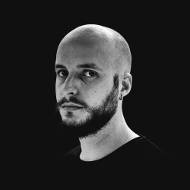 Created by Ryan Guy and Dennis Fassbaender (check out our interview with the Blender Market!). The core fluid engine, a modern FLIP-based fluid solver, has been under development for over three years with over a year of development focused on tightly integrating the simulator into Blender as an addon. The FLIP Fluids simulator was created to improve on many aspects of Blender's internal Elbeem fluid simulation system such as speed, performance, accuracy, customizability, and user experience. We use a familiar and intuitive simulation workflow, so if you have experience with the internal fluid simulator or other fluid simulation software, you will be able to get yourself up and running with FLIP Fluids in no time! Check out our most recent animation reel created for the Blender Market Spring Sale! The core fluid engine, written in C++, is designed for running high performance computations and massive physics calculations efficiently. Multithreaded and extensively optimized, this simulator is built for speed. Create awesome large scale fluid effects with the whitewater simulator. 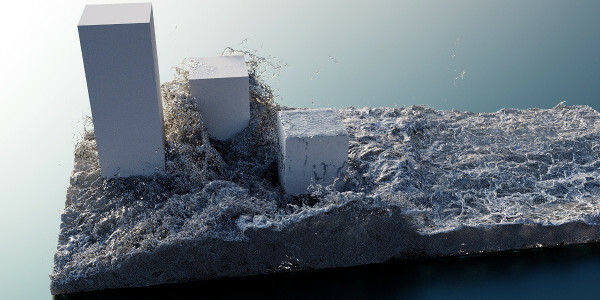 Generate and simulate millions of foam, bubble, and spray particles to give a sense of realism to large bodies of water. Use the highly accurate viscosity solver to simulate thin silky-smooth liquids, thick fluids that buckle and coil, and anything in between. 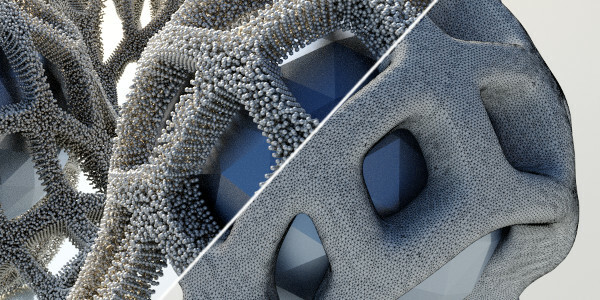 The built-in mesher generates highly detailed meshes so that your fluid surface is render-ready immediately after simulation. This mesh generator is memory efficient and able to produce meshes containing millions of triangles without requiring massive amounts of RAM. 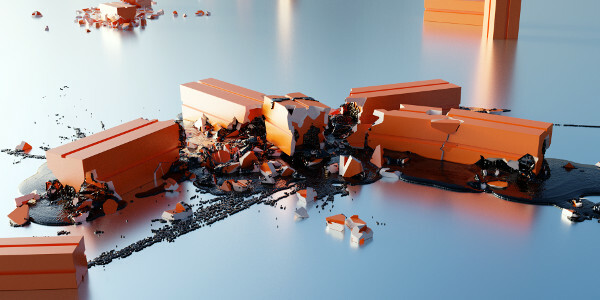 Create interesting destruction simulations by using the FLIP Fluids addon with the Blender Fracture Modifier branch. The fluid engine is optimized to support fractured objects that may contain hundreds to thousands of individual pieces. The addon interface was designed with a focus on functionality and usability to create a comfortable workflow. View simulation progress, meshes, and statistics in real-time. Pause and resume simulation baking- even after a Blender crash. 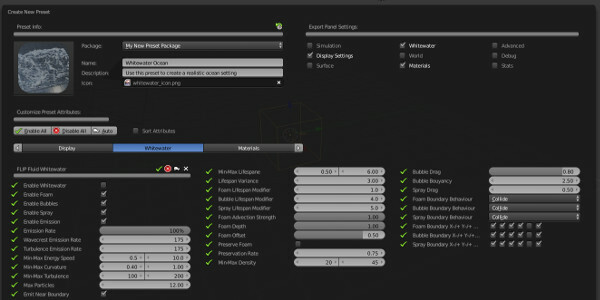 Create and manage your own preset settings. Quickly apply materials from the fluid material library. We ran a closed beta testing phase involving over 250 testers to ensure that this complex simulation system is reliable, intuitive, and ready for you to use in your projects. We gathered your feedback and added your suggestions. This addon is built for you! Pause a simulation and resume baking at your convenience. Any simulation can be continued from the last baked frame even after a crash or computer shutdown. Set length of animation manually or automatically by framerate. Nearly all simulation settings can be keyframe animated. Hover over any setting to view a tooltip description. Detailed settings documentation and tips are also available on the Wiki. Want to keep the same level of simulation detail while resizing the domain? Lock the simulation voxel size and the addon will automatically adjust grid resolution as you resize the domain. Manage your scene cache directory. Operators will help you rename, move, copy, or delete your cache files. Advanced settings for power users who want to experiment with simulation accuracy and performance. Control the amount of whitewater generated at wavecrests and in areas of high turbulence. Control how foam is carried along the fluid surface: In tight streaks, or diffuse and spread-out? Control how bubbles rise to the surface and how bubbles are advected with the fluid. Control amount of drag on spray particles as they fall to the fluid surface. Set percentages of foam/bubble/spray particles for display and rendering. 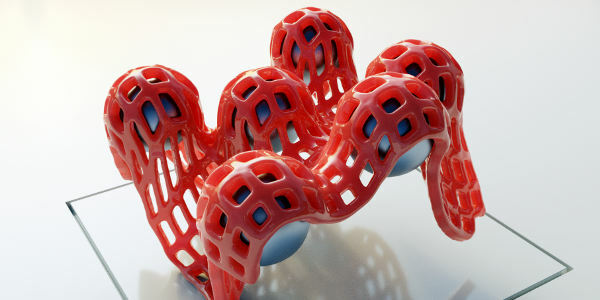 Render whitewater particles with a simple icosphere or use your own custom object. Adjust particle size for the particle-to-mesh surface generator. Create high detail meshes by increasing the subdivision level. Generate meshes that wrap smoothly around curved surfaces. Save your own custom default domain settings. 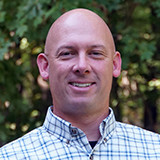 Create and manage domain presets. Organize presets into packages and add custom thumbnail images. Export and share preset packages. Apply multiple presets at once using the preset stack. Quickly apply materials from the fluid material library. View simulation, timing, and mesh stats for the entire cache or an individual frame. Export stats to CSV format and create your own detailed graphs. Visualize the simulation and meshing grid. Visualize fluid particles and velocities. Visualize how the simulator 'sees' your obstacle objects to diagnose issues with meshes. View detailed simulation progress in the Blender system console. Support for animated obstacle objects. Turn obstacle meshes 'inside-out' to contain fluid inside of the mesh. Accurate fluid-solid interaction against curved surfaces. Control amount of fluid friction against the obstacle surface. Support for animated inflow objects. Manually set inflow velocity, or set velocity towards a target object. Add inflow object velocity to the emitted fluid for realistic animated inflows. Support for animated outflow objects. Control whether outflow objects remove fluid particles or whitewater particles. Control whether outflows will remove fluid entering the object or leaving the object. The macOS and Linux operating systems are well supported. However, there is a known compatibility issue that may affect how simulations run on your system. See this document for details on operating system support and known issues. Want to test the FLIP Fluids simulator on your machine? You may try the free demo version. This is a very limited version of the addon that will only allow you to run predefined scenes at preset resolutions. The demo will still allow you to playback and render your test case simulation. This version of the addon was used during the beta to test the simulator on testers' machines and to gather simulation results for optimization. Find out how to download and how to run the FLIP Fluids Demo here! Click for details about the current available downloads! "The FLIP Fluids Blender add-on allows both artists and simulation enthusiasts to do so much more than they could ever imagine within Blender. The work and care put into this add-on is incredible, and has allowed me to expand my knowledge and abilities on multiple levels. A must have for any avid Blender user." "Having this kind of power inside of Blender is a complete game changer. To be able to stay within the program that I am so comfortable in and create these kind of FX is amazing. If you are wanting to add liquid simulations to your skill set, this addon is a must have!" "A very promising fluid simulation plugin for Blender with a top-notch feature set, including whitewater bubbles and foam. I worked with the beta to get some great visual results from Blender and was very happy with the stable simulation bakes at a range of solver resolutions. 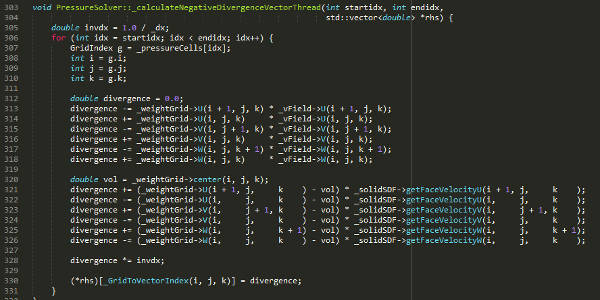 Looking forward to integrating FLIP Fluids into my animation production workflow!" Experimental releases will give you access to the latest updates and features, but these builds may contain bugs and lack documentation. Please let us know what you think of the experimental builds or notice any problems, we love to hear your feedback! Removed 'Invert Surface-Contact Normals' option in 'FLIP Fluid Surface' settings. This option does not work as intended and is not useful. Removed GPU acceleration features. GPU methods have been entirely replaced with higher performance CPU methods. Removed 'Enable Experimental Optimization Features' setting from Advanced panel. These features are no longer experimental and are now fully integrated into the fluid engine. Follow us on Facebook, Twitter, or Instagram for the latest news and promotions for the FLIP Fluids addon! 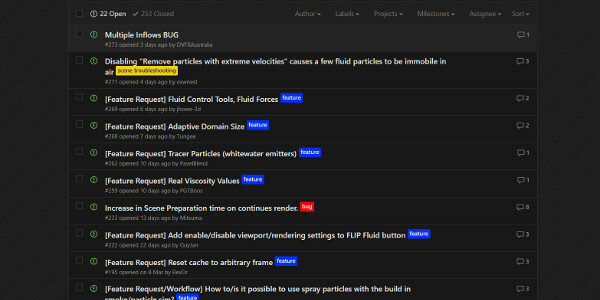 Full documentation is available on the FLIP Fluids Wiki. Check out these excellent videos and resources from the FLIP Fluids community! Where can I find Frequently Asked Questions? You will find a list of frequently asked questions on the Wiki FAQ page. 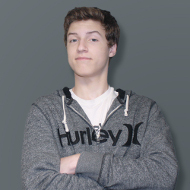 This item has an average rating of 5 from 35 ratings by the community. This is a huge timesaver, it has some known buy in the linux version (I knew what was coming) that I would love to see adressed, but these are really just a minor hassle, and it is still a lot easier to use than the inbuild fluid solver, and I think also a lot faster. Great work! Great. The documentation makes it easy to get started with the add-on. This add-on is of great use. it cant be any easier and the results are out standing!! Really great plugin! Works like a charm. I'm really looking forward to future updates. Best tool ever seen for Fluids!!! Awesome work!!!! This addon is really amazing! I love it! It's more easier to use than standard Blender fluids system, with my pc simulation times are nearly 5 time faster than Blender fluids for the same scene! There are some settings included (water, ocean, honey, chocolate, etc...), it's very useful! In short: AMAZING!! Works great on Linux - have some issues on MacOS though (crashes) which I am looking into (version 1.04a). It's fun and fairly fast, giving some great results. Well designed menu and excellent performance, makes working with fluids fun and efficient....especially with Octane/Blender! Fantastic add on. Just a few steps and liquid simulation’s are in your hands! Highly recommended! super addon for fluid. i hope it work fast on Nvidia RTX 2050 / 2060 auto render ray tracing or particles. Awesome addon. I hope in a future better use og GPU power to accelerate the baking process. Very cool addon! Fast and realistic water simulation. And I like whitewater Effects. Bought it during the Linux beta, and it has worked very well most of the time. The white water simulation is amazing, but more importantly, the developer is amazing. Ryan has responded to each of my many inquiries within hours or minutes and has offered excellent suggestions and support. To be honest, it has crashed a few times during the beta but I think its well worth the money! While Blender fluids was good for making simple and basic simulations, it simply failed to do anything more complicated then filling a box or a cup. Every time I needed to do a fluid sim with it, it was always an up hill battle. Now with Flip Fluids it opens a lot of doors into the realm of fluid simulation, as almost anything that you couldn't do before is now possible. And the ability to pause a bake and continue is simply a must have addition when doing complex simulations, even though the bake times now are much faster. If you always wanted a better fluid sim in Blender that could do complex scenes that are truly realistic, then this is the addon for you. I must say that the internal fluid system has always been a hassle. I've also been experimenting with another sim for a week now. Then, after using Flip Fluids for one day, well, I just love the out of the box feature. It just works. Of course precision simulations with thin walled obstacles requires some tweaking, but that is common across all the sims. It was definitely worth the buy and I can see more applications in the near future that will be awesome for jobs. Well done to the team behind this and looking forward to future features. This addon is absolutely stunning! The stability, quality, layout, etc. are spot on! Also, the creator follows through with the open source promise of Blender and is definitely contributing to a better CGI future accessible to all. Supporting this addon by purchasing it will help secure the future of good fluid simulation in Blender. Really an impressive piece of work. I just wish I could borrow a computer from 2050 to bake because I want pretty results faster, but that is just the nature of complex fluid dynamics simulations. Fast to bake simulations, nicely integrated into Blender and stunning output. So far, I love it. Just learning and trying new things with it. Looking forward to more tutorial videos. Easily worth the $$. Good results fast! Much easier to work with than the build in liquid sim tools. Thank you for making this, well worth the price. Although having doubts about this item before purchasing it, after contacting the very nice creator of this product i do not regret my decision ! Great addon and great support !!! Works beautifully in several test scenes I made as of version 1.0.1. Only issue I've had so far is a specific obstacle object not registering properly, allowing fluid to clip through. Worked a lot with Phoenix FD for 3ds Max, a ~900$ Plugin... This Blender Addon can create the same Quality Fluid Simulations! Glad this addon exists, it really pushes forward the Blender fluid simulations! Fantastic addon, much more powerful and flexible than the regular Blender fluid sim. Personally my favorite thing about it is it's ability to simulate in massive scale, so instead of a cup of water you could make, say, an entire beach surrounded by water. A few little bugs, but overall, its fantastic. Even as a beta tester this thing blew my mind. Love the white water. Great animation has already been created and I can't wait to see what people accomplish with the release! !